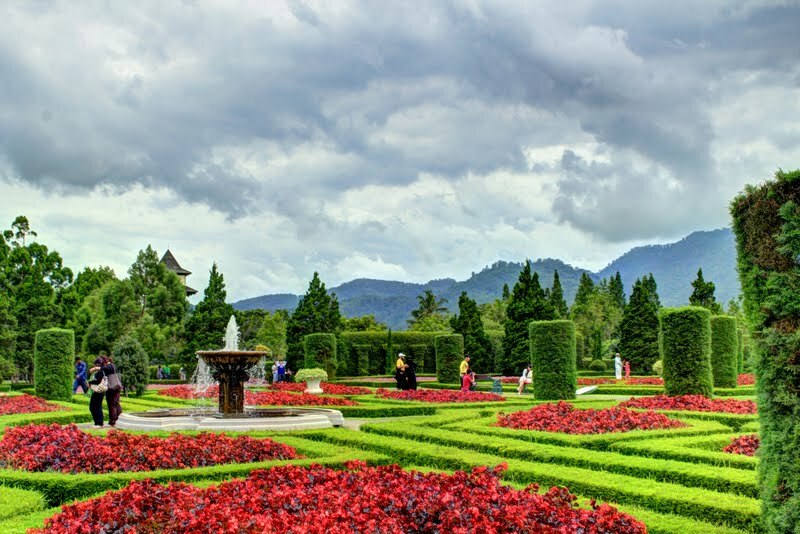 Taman Bunga Nusantara or National Flowers Park has many collections of beautiful and fresh flowers, ranging from plants to flowers from Indonesia as well as from all over the world. It also has a special cultivation house of orchids. There are estimated 2,000 species of orchids are being cultivated in this place. The park is located in the Village District of Kawung-Luwuk Sukaresmi Cipanas-Cianjur, perched high on the famous Puncak area, with a total area of ​​35 acres. it was founded 10 years ago on September 10, 1995. The Indonesia's first flower park is equipped with various collections of plants and flowers that are arranged in a harmonious and beautiful shapes.